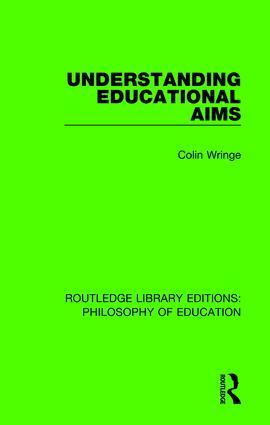 This text, first published in 1988, examines the underlying rationale of educational aims as applied to individual pupils, social policies and supposedly intrinsic values. This book explorestraditional educational aims such as developing the potential and autonomy of individuals or the promotion of rationality as well as more contemporary and often controversial ones. The author provides a clear and balanced justification of educational aims which teachers need in order to combat the rhetoric of changing fashion or the pressures of political and managerial opportunism. This book is essential reading both for students and teachers.